What is the one thing you love to do on vacation that you rarely get to do at home? For me it is reading – although I do read at home just not as often as I like. Either I forget my book or read it faster than I thought I would. No worries! Sundog Books has plenty of options to chose from to complete my vacation reading needs. 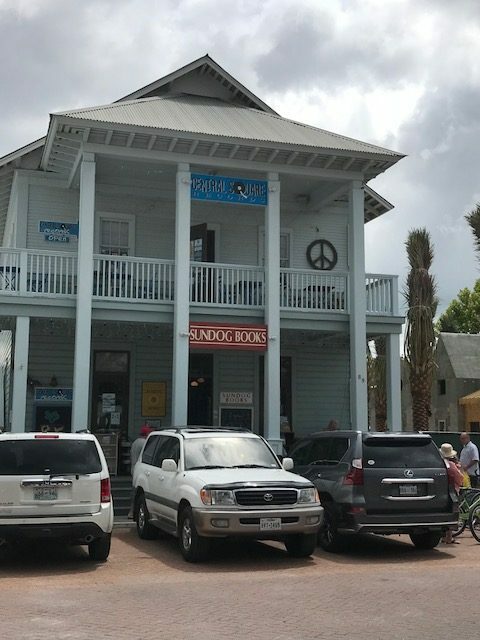 We stumbled upon Sundog Books while strolling through Seaside years ago. It has now become one of our favorite places to take a break from the sun. The hubby wanders upstairs to check out all the vintage vinyl, and although I love music, my goal is to find that perfect beach escape novel. We both could browse for hours and sometimes do!